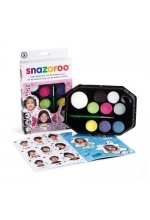 These kits contain all you need to create the great designs pictured on the covers. 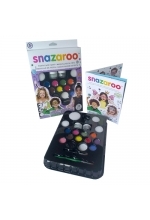 For a more pleasing effect, we would recommend purchasing additional brushes with these kits. Great for DIY parties or painting your friends at festivals. 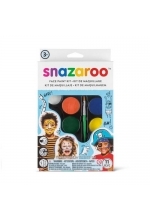 This Snazaroo face painting kit ..